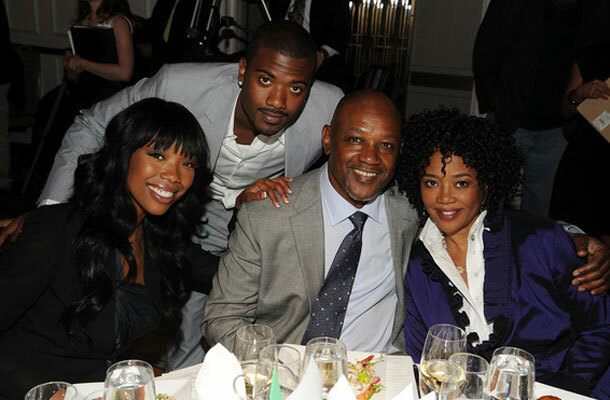 Brandy & Ray J’s mother, Sonja Norwood, has launched the Norwood Talent Agency Corporation (NTAC) in partnership with her husband Willie Norwood. The company will focus it efforts on family talent similar to the Norwoods. “We have selected clients to work with at NTAC that stir the same passions and level of excitement I have enjoyed managing members of my family,”Â said Sonja Norwood in a statement. The company opened it’s doors two month ago and has already signed sixty-five clients. The company has set-up opportunities for new talent to have successful careers in entertainment. “Our doors are open to fresh new faces hoping to get their shot in Hollywood,”Â says Norwood. With a proven track record of developing careers for Brandy and Ray J, the agency has a knowledge in managing a client from childhood to adulthood in the entertainment business. Here an interview of Brandy and Ray J speaking to the companyâ€™s very first client, 6-year-old â€œveteranâ€ interviewer and uber personality, Miss Harmony â€œLoveâ€ Bailey.